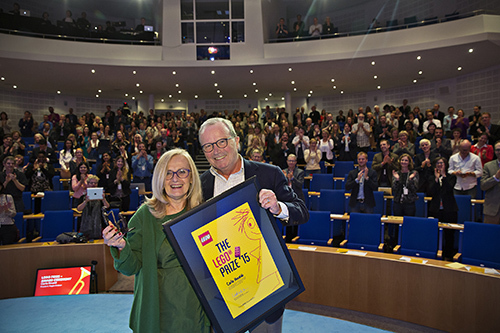 "These schools and this community became staked more than fifty years ago on the idea that education is the highest investment for the present and for the future, in light also of the huge historical changes that human kind is going through." In September 1994, Jerome Bruner, the famed psychologist, professor and education visionary, visited Reggio Emilia, a city in the Emilia-Romagna region of northern Italy. The President of Reggio Children at that time had written to Professor Bruner inviting him to visit the city's schools. 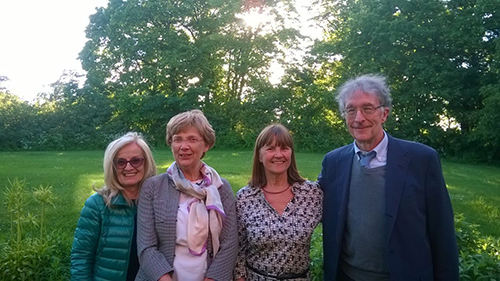 From that year onwards until 2012, Professor Bruner visited Reggio for one month of each year to study the city's schools and enjoy its rich culture. According to Carla Rinaldi, current President of Reggio Children and Director of the Loris Malaguzzi International Center in Reggio Emilia, these schools and the local culture were "among his dearest research subjects." I met Carla Rinaldi in New York City at a memorial service for Jerome Bruner after his death last year. It is my honor to welcome her to The Global Search for Education to talk about Bruner and the fascinating work her organization continues to do. 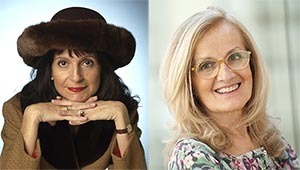 In addition to being President of Reggio Children and Director of the Loris Malaguzzi International Center in Reggio Emilia, Carla is also a professor at the University of Modena and Reggio Emilia. She worked side-by-side with Loris Malaguzzi from 1970 until 1994 in the municipal infant toddler and preschool system of Reggio Emilia, where she was the first pedagogical coordinator. She lectures in countries around the world. "Everyone is unique, the holder of an exclusive gaze on the world. If we are aware of this, we look for the other, so as to understand, enrich, and exchange points of view about the reality and the possible." Welcome Carla. Let's speak a little about the philosophy of education in Reggio Emilia. What do you believe makes its schools special? The great trust in the child (and in the human being), in his potential and possibilities; the idea that he is holder of a culture, the culture of childhood, which is to be found in the infant toddler centers and preschools (0-6 project); the places where this culture can be expressed, made visible and influence the culture of the areas where the schools are located. This happens if, and only if, the infant toddler centers and the preschools are quality educational centers, a quality that is defined in the spaces and times emphasizing the everyday life. An everyday life (the day in the infant toddler centre and in the preschool), which recognizes the child's right to learn according to his own times and manners, in a constructive act, which is an original, individual and a group act, potentially creative and always interactive and in which he expresses himself through the hundred, thousand languages he uses to construct joyfully, stubbornly and with a big effort his relations with the world and that express the beauty and the richness of his interiority. Teachers play an important role in building up the opportunities to learn and to make visible - through the video and photographic documentation - the beauty and the richness of these processes concerning education and participation in life. A further structural element of the Reggio experience relies on this process of shared education: the participation of parents in the educational process of their own children, which, as such, proves to be one of their paths towards a responsible parenthood. Parents, along with teachers, are the promoters of a cultural and political sensitization to foster children's rights and quality places for early childhood. These schools and this community (the city of Reggio Emilia) became staked more than fifty years ago on the idea that education is the highest investment for the present and for the future, in light also of the huge historical changes that human kind is going through. Is there any particular initiative you are working on now that you would like to share? The great effort we are doing, thanks to the Municipal Administration, the teachers, the citizens and the parents of Reggio, is to continue to believe that education, and only quality education, is the most advanced tool for social justice and peace worldwide. For this reason, we continue our efforts to open the schools to the thousands of visitors coming from all over the world who have been visiting them for more than forty years now. "No child in Reggio Emilia can really be well if the other children around the world are not well," said Loris Malaguzzi, the philosopher and pedagogista who, with the municipal Administration, gave life to this experience in far off 1963 along with the teachers and the families of that time, and who dedicated his entire life to it. And being loyal to this principle is now, more than ever, difficult but necessary; human kind willing to focus on childhood so as to restart from children, and with children to find again the sense of future and life. What was it that Jerome found so fascinating about the city itself? 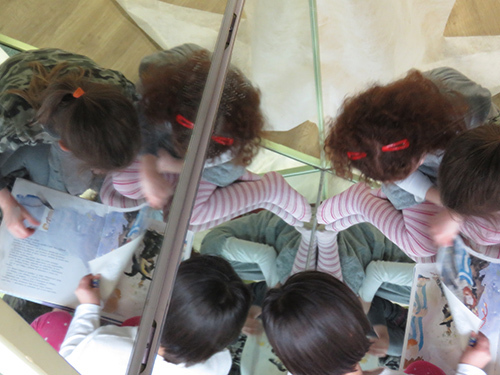 How does the educational style of Reggio connect to its wealth of culture? Jerome Bruner came to Reggio for the first time in 1994 but he had had indirect contacts with our experience for many years. He was struck by the experience that he admired for the features I tried to express above. This is what Jerome said on his first visit with his wife Carol Feldman: "I spent an entire life saying that it was possible but lately I was concerned it wasn't. Now I know it is possible. What struck me in the infant toddler centers and in the pre-schools is to see how imagination is fostered so as to strengthen in children the sense of possible...." What struck him was the interaction between teachers and children (based on a great respect and deep influence/reciprocity) and between the schools and the city. Jerome found the confirmation and the consolidation of the idea that infant toddler centers and preschools are the places where culture and knowledge are constructed; a strong and brave vision that he declared and improved over the years with his Reggian friends. Jerome liked to talk to everyone. What is the importance of gathering multiple perspectives? What does this say about Jerome as a person? Yes, Jerome loved to speak with everyone, starting with children. Everyone is unique, the holder of an exclusive gaze on the world. If we are aware of this, we look for the other, so as to understand, enrich, and exchange points of view about the reality and the possible. Pluralism as an antidote to the dictatorship of the absolute truth. Jerome Bruner was among the fundamental authors of this perspective. What was striking is that this way of thinking became for him a "strategy of everyday life," a way of looking at others, at the world through the others' eyes and the others' narrations, but above all a way of coming into contact with the many people and with the many worlds whose narrations he listened to. Jerome had a special relationship with the children in the schools; he listened to them with high respect, a real curiosity and a big interpretative generosity. Jerome became an "honorary citizen" of Reggio. What does it say about his intimate relationship with the city? In June 1997, the Mayor of Reggio Emilia conferred him with honorary citizenship. A moment of joy and emotion for everyone, which sealed a friendship, stated a deep esteem and expressed the gratitude of the city for the professor, who, with his analysis and interpretations, made the city more aware of the importance of its choices and of its responsibilities. "In Reggio Emilia, I feel as a citizen of the world. These wonderfully creative schools don't exist in a vacuum container. They are an integral part, they are an expression of this small and wonderful city," he declared immediately after he received this acknowledgement. And for him, who received prizes and awards from all over the world, this was a moment of genuine pride and real emotion. What are your dreams for the Reggio Foundation in the next decade? 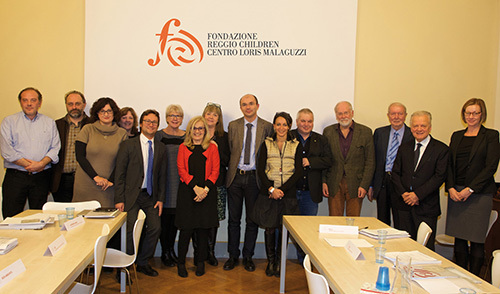 As the Charter of Values of the Foundation states, the primary goal is to contribute to improve the quality of the life of children, teenagers and young people worldwide by taking inspiration from what has been learned in the experience of the infant toddler centers and preschools in Reggio Emilia and from their relations with the city and the world. To develop solidarity by looking for new possibilities which allow the communities, the cities, and the countries to understand that education is the biggest investment that a society can make and that this process of educational, cultural and political "overhaul" should begin from brave choices, starting from the centers and the places of childhood, used as parameters for a new human kind and as a lever for new projects of civilization. Read more about Jerome Bruner.